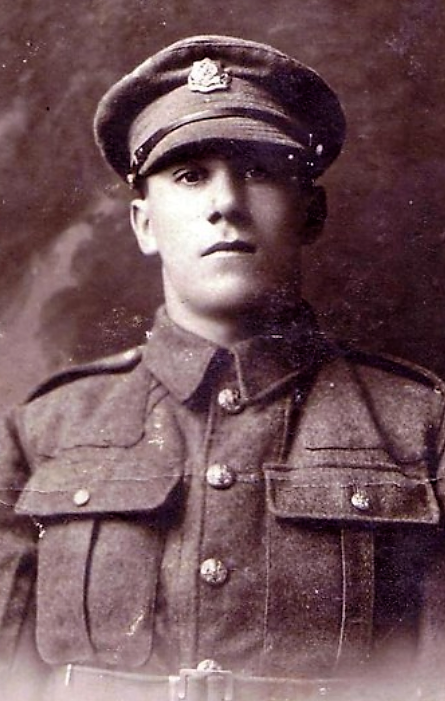 24492 Private George Meads, 15th Battalion, the Durham Light Infantry was killed in action 16 September 1916 and is commemorated on the Thiepval Memorial. He was 25 years old and is commemorated on West Auckland War Memorial and the Roll of Honour, West Auckland Memorial Hall. In 1901, the family lived at Black Road, Witton Park where 41 year old Thomas was employed as a “coke drawer”. In 1911, the family lived at Toft Hill and Thomas worked as a coke drawer, as did 21 year old Ernest. 20 year old George was a coal miner (putter) and 19 year old Thomas and 16 year old James both worked as coal miners (drivers). George Meads enlisted at Barnard Castle into the Durham Light Infantry joining the 15th Battalion and being given the regimental number 24492. The service records have not been researched. General Sir Douglas Haig, appointed Commander-in-Chief in December 1915, was responsible for the overall conduct of British Army operations in France and Belgium. The battle was to be the British Army’s first major offensive on the Western Front in 1916 and it was entrusted to General Rawlinson’s Fourth Army to deliver the resounding victory. The British Army included thousands of citizen volunteers, keen to take part in what was expected to be a great victory. In popular imagination, the Battle of the Somme has become a byword for military disaster. In the calamitous opening 24 hours the British Army suffered its highest number of casualties in a single day. The loss of great numbers of men from the same towns and villages had a profound impact on those at home. The first day was an abject failure and the following weeks and months of conflict assumed the nature of wearing-down warfare, a war of attrition, by the end of which both the attackers and defenders were totally exhausted. Adverse weather conditions i.e. the autumn rains and early winter sleet and snow turned the battlefield into morass of mud. Such intolerable physical conditions helped to bring to an end Allied offensive operations after four and a half months of slaughter. The fighting brought no significant breakthrough. Territorial gain was a strip of land approximately 20 miles wide by 6 miles deep, at enormous cost. British and Commonwealth forces were calculated to have 419,654 casualties (dead, wounded and missing) of which some 131,000 were dead. French casualties amounted to 204,253. German casualties were estimated between 450,000 to 600,000. In the spring of 1917, the German forces fell back to their newly prepared defences, the Hindenburg Line and there were no further significant engagements in the Somme sector until the Germans mounted their major offensive in March 1918. The Battle of Flers-Courcelette began 15 September 1916. The XV Corps were made up of the New Zealand Division, 14th 21st 41st and 55th Divisions under the command of Lieutenant General Henry Horne. They were at the centre of the attack and were responsible for the capture of Flers. The 41st Division was to the left of the 14th Division and to the right of the New Zealand Division. The attack was no local affair, it was a big effort. It was the last chance to win the war in 1916. The attack was preceded by a 3 day bombardment of some 828,000 shells, twice the concentration of that delivered on the opening day of the Battle of the Somme. To assist, 18 tanks of D Company, Heavy Section Machine Gun Corps were commissioned although only 14 managed to get to their starting points. The tanks would be used in small groups along the front with the aim of moving ahead of the infantry to suppress German strong points. A creeping artillery barrage was not to be employed on these identified strong points thus if the tanks failed then the infantry would be left to its own devices. The attack on Flers was successful but the men of the 41st Division suffered severe losses in the course of the long day, 15 September. The 64th Brigade was to be used for a fresh attack on the Gird system of trenches. 16 September: 2.00am the battalion headed for the start line but because of congested roads the place of deployment was not reached until 5.30am rather than dawn. 9/KOYLI was in the sunken road east of Flers which led back to Ginchy and 1/EYR occupied Flers Trench. 15/DLI formed up on the right of the attack in a position to the east of Flers village. At 8.45am, “C” and “D” Companies moved forward to get in closer touch with “A” and “B” Companies who were to lead the way. A shrapnel barrage came down ¾ mile ahead of the battalion. After covering about ½ mile the Lesboeufs road was reached and the line was re-organised. 15/DLI and 9/KOYLI to the left advanced again into a hail of shell, machine-gun and rifle fire. Survivors of the battalion came to a halt sheltering in shell holes some 70 yards from the German line. Some advanced posts were overrun and prisoners taken. The men could not indicate their positions using red flares because the equipment was too damp to ignite. Thus a British barrage came down on “friend and foe alike.” At dusk came a withdrawal. 15/DLI occupying Flea Trench and at dawn on the 17th September, the sunken part of Ginchy road. 17 September: 15/DLI moved back to a position south of the village and withdrawn to Pommiers Redoubt in the evening. The battalion was now about 200 strong. Other ranks: 419 killed, wounded and missing. These casualties were the heaviest in the Brigade. 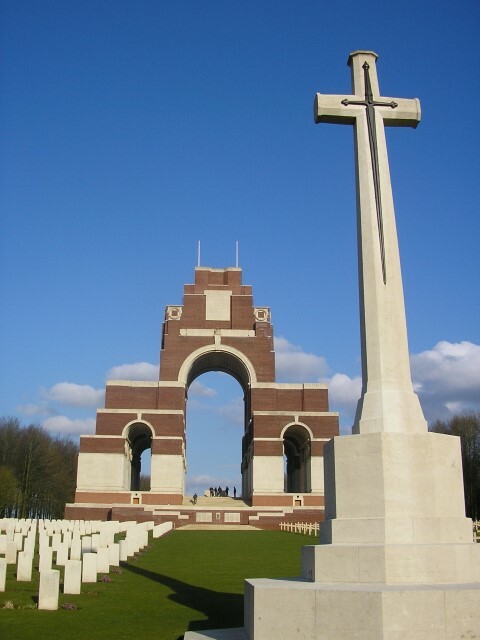 Both of whom are commemorated on the Thiepval Memorial  and the Etherley War Memorial. 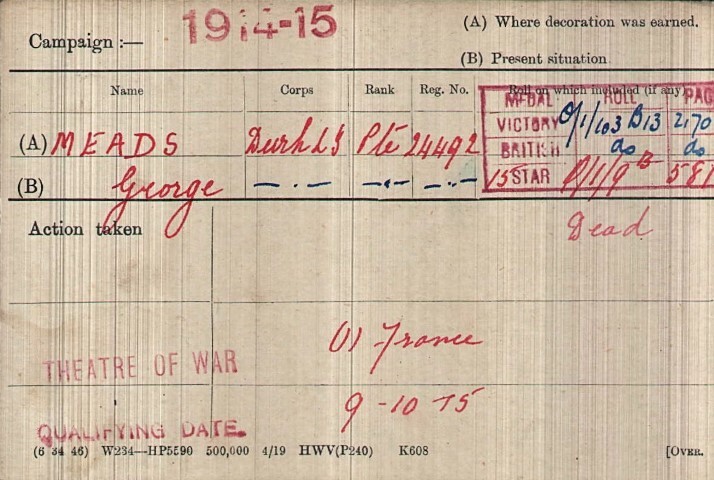 Private G. Meads was awarded the 1914-15 Star, the British War and Victory medals. The working environment was a mechanical hell! At this stage of development, common sense rather than specialist military knowledge counted for more in their analysis – their virtues were exaggerated, they needed to be more powerful and the noise needed to be reduced. Most significantly, the German artillery was not silenced. The Royal Artillery undoubtedly needed more fire-power if it was ever to have a chance of winning this major duel in the Battle of the Somme. In conclusion, the German line had been under immense pressure 15 September 1916 but it held out. Their artillery was struggling but had not been overwhelmed. German supplies were depleted but had not run out. German morale was failing but had not collapsed. Their resistance was still strong. The German nation was not ready for defeat! 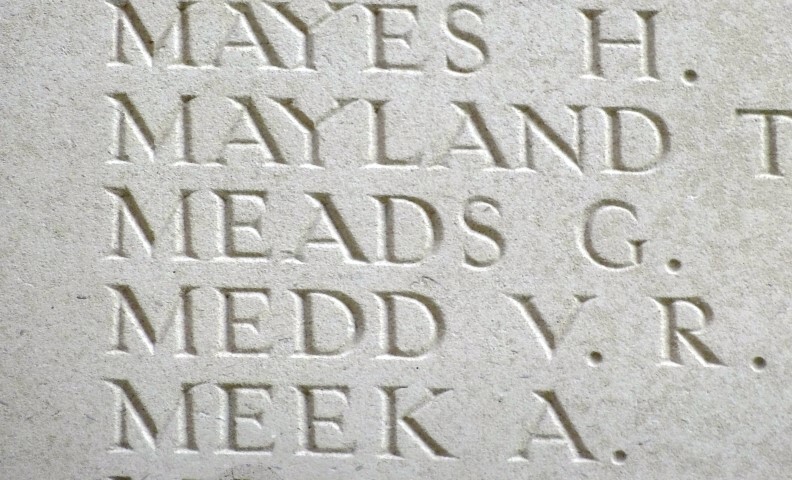 Private G. Meads has no known grave and is commemorated on the Thiepval Memorial, the Memorial to the Missing of the Somme, which bears the names of more than 72,000 officers and men of the UK and South African forces who died in the Somme sector and who have no known grave. Over 90% of those commemorated died between July and November 1916, the duration of what we now call the Battle of the Somme. The memorial, designed by Sir Edwin Lutyens, was built between 1928 and 1932 and unveiled by the Prince of Wales, in the presence of the President of France, on 31 July 1932. Officers & Soldiers Died in the Great War Note: The 15/DLI Officers were C.K.O. Graham, A.S. Morley, H. Royley and G.H. Wesselhoeft. The other 4 officers were E.B. George 4/DLI, G.A. Garland 21/DLI, A.R. Jacobs 4/DLI (died of wounds) and Capt. E.R. Welch RAMC.